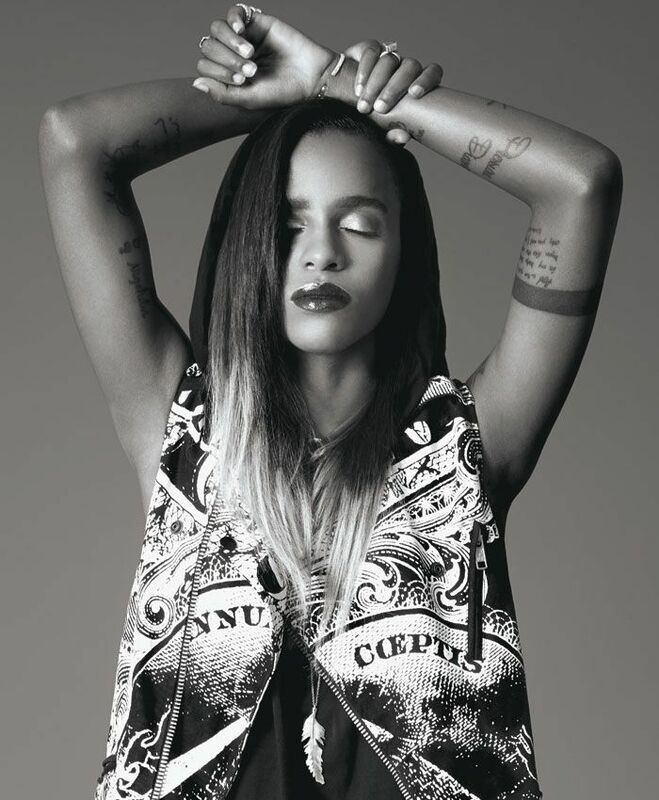 On Angel Haze's debut album, Dirty Gold, we were introduced to a 22-year-old woman unafraid to use her fierce, relentless flow to confront unspeakable personal trauma. Add to that her refusal to identify with a single sexual orientation and it's clear that Haze is a crucial new voice in the bling-centric boys' club of mainstream rap. Personal OGs: Tracy Chapman, Adele, Kanye West, Eminem, Natalia Kills, Chance the Rapper, Ed Sheeran, Frank Ocean, Bruno Mars. What made who you are? Have you always been determined? I think it's somewhat of a personality trait -- maybe I inherited it from my mother. I just know I've always believed that you should fall, get back up, and keep going. When I was first signed, lots of people said things that just tore me up. I was mute as a child (not literally, I just never spoke). I spent loads of my time reading. When I became a teen, I was introverted and a loner. What has your experience been like with your supporters? What is the best thing a fan has ever given you or done for you? My relationship with fans is a pretty open one, to be honest. They've given me the platform I have now. Is there anything that you've seen recently that you think is completely radical? Hair by Donte Smith for CCS Extension at Epiphany Artist Group, Inc. and makeup by Haley Buckner for Make Up For Ever.